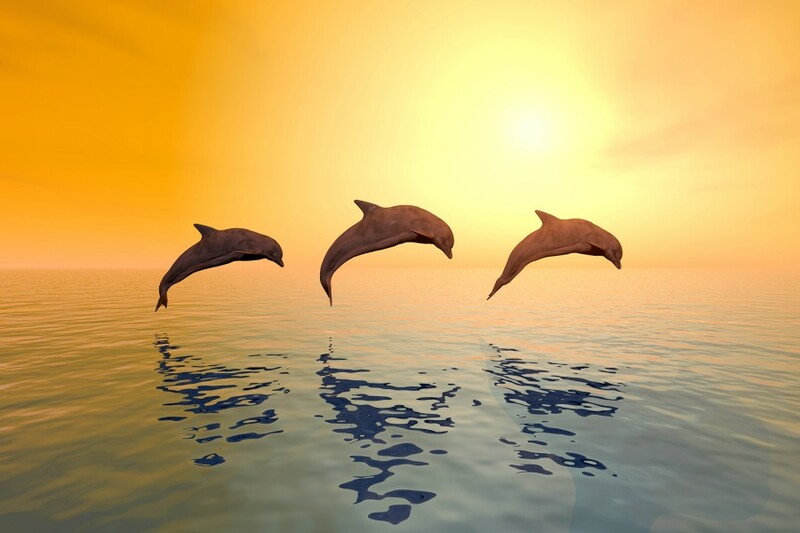 Many people have wondered about dolphin intelligence. If their brains are larger than ours, does that mean they’re smarter? The brain of the average bottlenose dolphin is bigger than that of the average man, but that doesn’t necessarily mean they’re smarter. How so? The average man’s brain weighs just under three pounds. About the weight of three hardback books or of a 2012 MacBook Air. The average bottlenose dolphin can beat a man any day of the week–at an average weight of 3.5 lbs, their brains could potentially have space for 15% more processing power than yours! If brain size equated directly to IQ, that would mean that the average dolphin IQ would be 115, not genius level when compared to the 100 IQ score of the average man, but definitely smarter. Not as smart as the average human Ph.D., not as smart as the average doctor or lawyer (120), but smart.